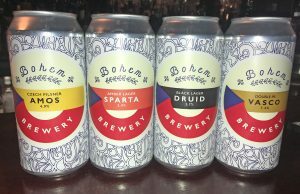 London-based Bohem Brewery is launching four of its acclaimed authentic Czech-style lagers in cans, along with a new distribution partnership with the UK’s leading beer wholesaler The BottleShop. At the same time, the craft brewery is announcing its Lager Manifesto, making a 10-point pledge of authenticity to beer drinkers to maintain the high standards of quality that differentiate Bohem’s lagers. Amos Czech Pilsner, 4.9% ABV, IBU 20: The brewery’s best-selling, classic Czech Pilsner. With plenty of body at 4.9%. Floral, citrus notes in the aroma, are followed up with subtle lemon and honey in the flavour, balanced by a growing dry bitterness, that lingers in a long spicy aftertaste. RRP £3.75. Sparta Amber Lager, 5.4% ABV, IBU 41: The premium amber lager of the family, at 5.4%, with a great amount of complexity. Bitterness, and some spicy hops, complement the honey and orange marmalade notes. The aftertaste has orange peel, toffee and a building dry spiciness. RRP £3.90. Druid Black Lager, 5.7% ABV, IBU 24: A Czech take on the German Schwarzbier, this is a multi-faceted, smooth drinking black lager, with a roast and earthy hoppy nose. Flavour has dark chocolate, sweet treacle and dark plum notes. Soft lingering dry finish of roast and sweetness. At 5.7%, it is a perfect blend of full-bodied taste, and smooth creaminess in the mouth. RRP £4.05. Vasco Double India Pale Lager, 7.4% ABV, IBU 55: This full flavoured 7.4% DIPL delivers a taste adventure through its use of British, Czech and US hops. The combination of Admiral, Kazbek, Jarrylo, Simcoe, and Mosaic delivers a full aromatic front-end with a balanced resinous hoppy finish, through a full eight weeks of lagering in the Bohem fermenters. RRP £5.55. 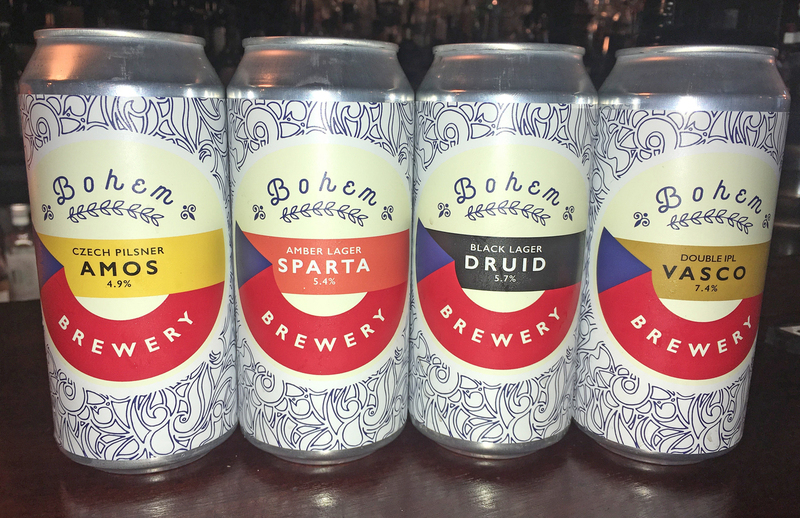 Zdenek Kudr, chief executive of Tottenham-based Bohem Brewery, said, “We’re delighted that four of our authentic lagers are making the leap from keg into cans, bringing them to an even wider range of craft beer aficionados. Bohem uses bespoke lager brewing kit manufactured in the Czech Republic, and brews with specialist malts and yeast at low temperatures, to create unfiltered and unpasteurised beers that are lagered for a minimum of five weeks.